Cancer prevention, screening, diagnosis information and resources. The Cancer Institute NSW is dedicated to reducing the impact of cancer and improving outcomes for people with cancer across the state. Around one-in-two people in NSW will develop cancer during their lifetime. We work collaboratively with organisations and individuals across the cancer control spectrum to improve cancer prevention, detection, treatment and care. Using the latest data and information to drive positive change across the health system. Find out the key things we can all do to reduce our cancer risk. At least 30% of cancer cases globally are related to lifestyle choices. Early detection of cancer can significantly improve outcomes for patients - it often means a greater range of treatment options are available for many cancers. 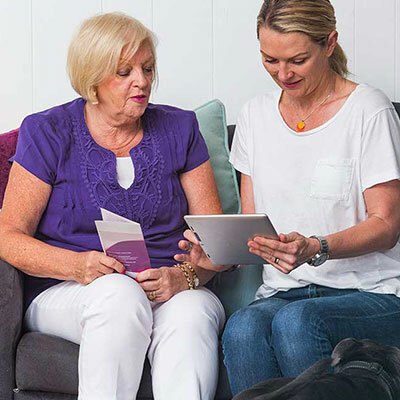 Find out how we work across NSW to make sure that patient diagnosis, treatment and care is based on the latest data and evidence. The Cancer Institute NSW supports programs to target reducing cancer among key communities. Find cancer related resources, reports and research summaries. Filter by cancer or document type, to find resources for patients and health professionals.